Makino in the lead at 11 km (left) and approaching the finish (below). Photos by Dr. Helmut Winter. Note: Saeki Makino (Kawaguchi T&F Assoc.) 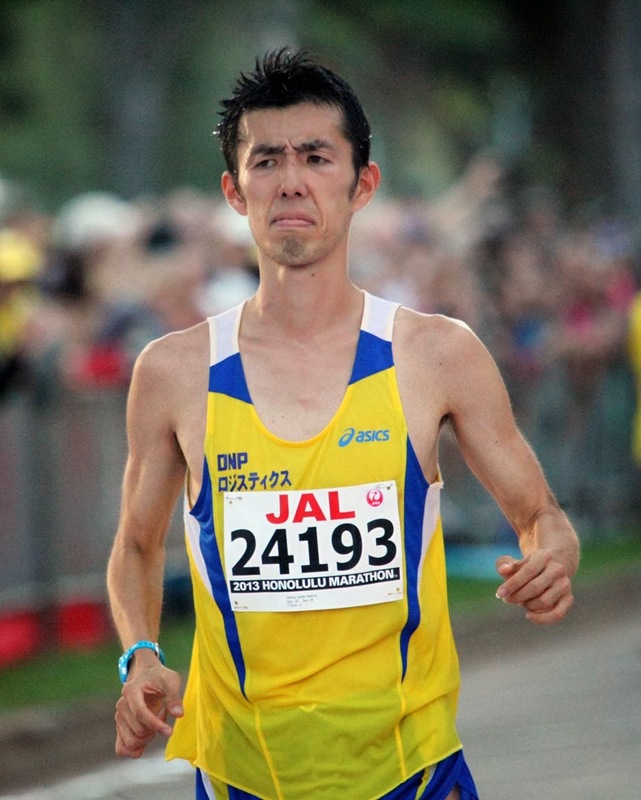 is a regular training partner of Yuki Kawauchi (Saitama Prev. Gov't). The article above incorrectly states his PB, which is 2:20:59 from Seoul last March. After running 1:06:14 at the Nov. 16 Ageo City Half Marathon, on Nov. 23 he ran the Ohtawara Marathon in Tochigi, going through halfway in 1:06:36 before finishing in what must have been an agonizing 3:47:29. 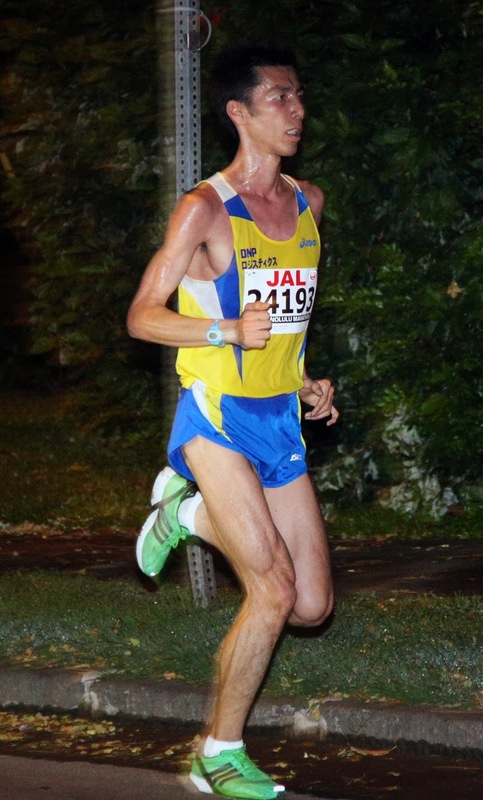 On Dec. 1 he won the local Kawaguchi Half Marathon in 1:06:04 before heading to Honolulu this weekend. Although not a member of its eleven-time national champion ekiden team, Makino is a graduate of Komazawa University with a half-marathon best of 1:04:34. He works full-time at a printing company.